The World Health Organization estimates that the number of new cancer cases will rise by 70% over the next two decades. 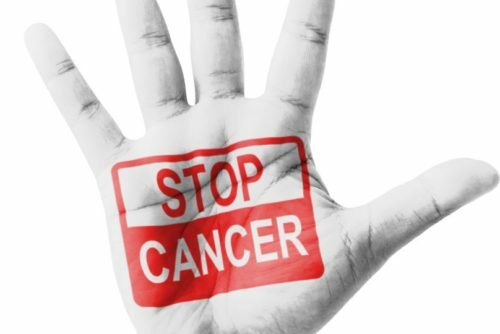 While the dialogue on cancer is too often on treatment, about a third of cancer deaths are due to the five leading behavioral and dietary risks: high body mass index, low fruit and vegetable intake, lack of physical activity, tobacco use, and excessive alcohol intake. The focus on “breakthrough cures” for cancer is expressed through large-scale, government-funded projects, including US Vice President Joe Biden’s Cancer Moonshot. The Cancer Moonshot aims to make more therapies available to more patients in addition to improving our ability to prevent cancer and detect it at an early stage. This is complemented by the Precision Medicine Initiative, which aims to determine how advances in genomics can benefit people with cancer. Similarly, Howard Koh’s recent publication in the Journal of the American Medical Association (JAMA), focused on reframing prevention, fails to truly focus beyond the Affordable Care Act. All three of these initiatives distract us from simple interventions that are known to prevent cancer. The private sector has a unique role to play in preventing cancer in the workplace, marketplace, and community. Workplace health programs that incorporate the latest science and data can go far to target the underlying behavioral risks associated with cancer. In the marketplace, companies can develop products that reduce the harm of cancer-causing agents, and develop products and services that focus on the diagnosis, prevention, and treatment of cancers. Finally, community-based cancer control non-governmental organizations can also work to clearly focus on prevention. Next week, Vitality will be participating at The Economist’s War on Cancer event. To advance cancer prevention, a broad-based group of advocates is needed for sustained action. We hope to contribute to the conversation regarding better integrating prevention into the cancer agenda. Interested in attending The Economist’s War on Cancer event? Use our special link and the code VITALITYGUEST to receive 15% off registration. Also follow @VitalityUSA for live tweets from the event.